It looks like this online multiplayer video game will be adding a new item. It looks like Epic Games, who is the developer of “Fornite: Battle Royale,” is trying to make up for the very problematic update they added earlier in the month. For instance, with that update, there were a whole lot of issues with lag and also audio issues. However, Epic Games has tried to since make it up to “Fortnite: Battle Royale” players by adding new items to the game, such as new skins and gliders. Well, now they have brought a brand new item into the game, and it is making gamers worldwide very excited about getting to use it. That item is a jetpack. A report by Forbes provided most of the information used in this article. How did players of this online multiplayer video game find out about this jetpack? The reason why gamers know about a jetpack being added to “Fortnite: Batlle Royale” is because it appeared on the news page of this video game. 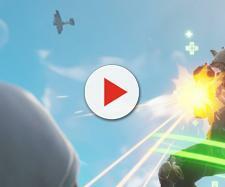 The announcement was only around 10 words in length, and it read “Jetpack (coming soon): Take the fight to all new heights.” Now, what this means is that by sometime next week, you will be able to fly around in a jetpack as the hovercraft will be added to “Fortnite: Battle Royale” multiplayer deathmatches. Since the announcement of this jetpack, it has raised many questions within this community. For example, some gamers are wondering if it will be a legendary item that can only be found in chests and you can only use once. On the other hand, other players are thinking that the jetpack will be very common and everyone will be flying around with them. 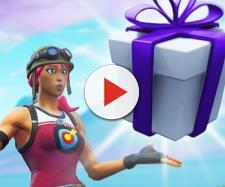 The only thing that is known for certain about this hovercraft is that it will not be a purchasable microtransaction as Epic Games want to keep this video game as balanced as possible, so all players are able to enjoy it. What else is going on with this video game? As mentioned above there was recently a “Fortnite: Battle Royale” update that made a lot of gamers very angry. 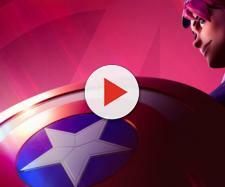 These players, worldwide, decided to speak up online to talk about all of the issues they were experiencing with this video game. For example, one gamer wrote “The new update screwed up my audio. It's delayed, and it skips in and out. Super frustrating please look into this.” An example of one of these issues would be a weapon issue that was that the Double Pump Shotgun was incredibly overpowered. This meant it would kill players instantly, which ruined the game for many gamers. Now, remember to keep up to date with all things related to “Fortnite: Battle Royale” and be sure to follow Blasting News on social media, so you don’t miss out on anything.